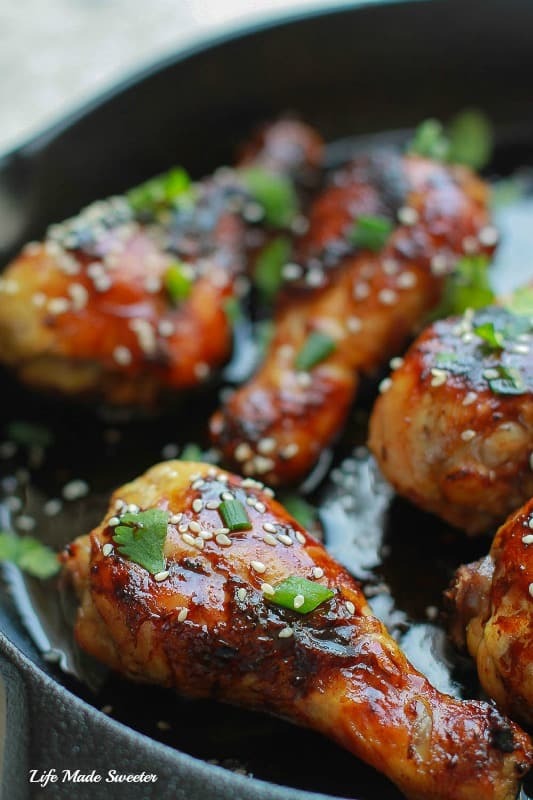 Sticky Honey Sriracha Chicken Drumsticks make the perfect easy dinner. Best of all, they are loaded with zesty Asian flavors full of honey, soy, lime and a fiery hint of sriracha. When it comes to busy weeknights, easy dinners are my go-to favorite meals. 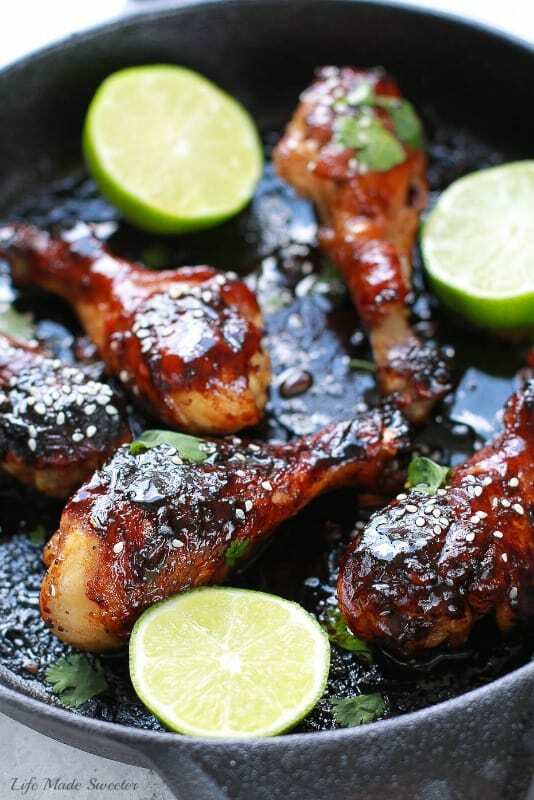 These Sticky Honey Sriracha Chicken drumsticks are full of flavor with a hint of sweet, savory and spice all in one. 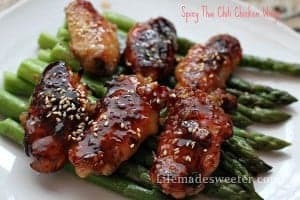 This recipe will also work well with wings or thighs if you prefer. They are crispy on the outside and tender and moist on the inside. Coated in a sweet, spicy, and perfectly addicting sticky glaze, you’ll have a hard time just stopping at one. 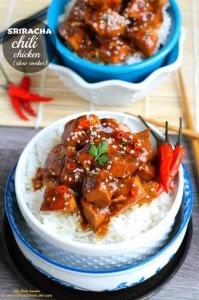 The sauce was just the right balance of tangy, sweet and spicy with that punch of ginger. Our family always had a bottle of sriracha in our house when I was growing up so we usually load up on the heat level but feel free to customize the amount used to your tastes. 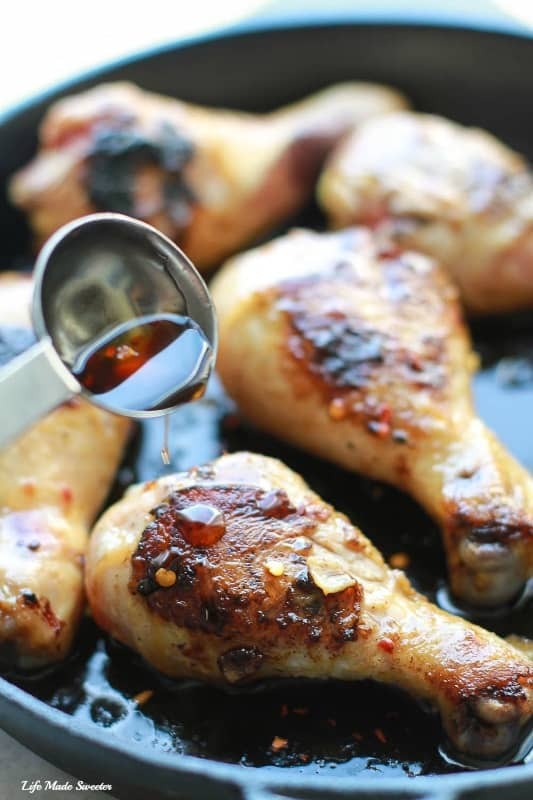 This recipe is for a small batch of six drumsticks but you can easily double the recipe if you are feeding a larger group. 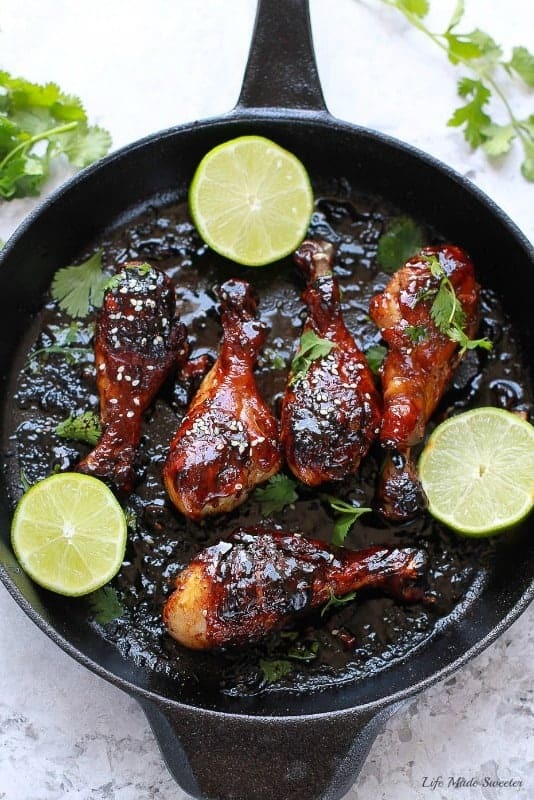 We start off by browning the chicken in a cast iron or oven-safe skillet and pouring the glorious sticky sauce all over and allow it to soak in for a few minutes in the pan. Then we place the entire skillet into the oven to bake away while basting it with the glaze every so often. 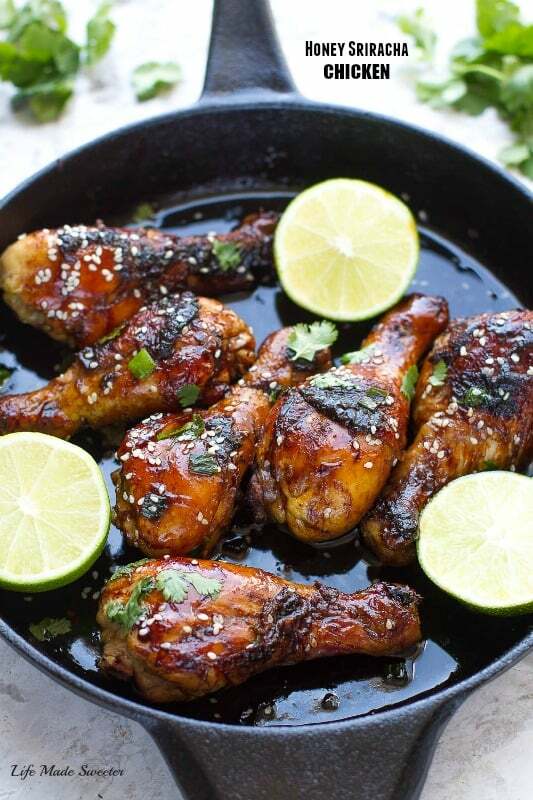 Once it’s nice and caramelized, sprinkle with sesame seeds, green onions and fresh cilantro. So tender, sticky and finger lickin’ good. 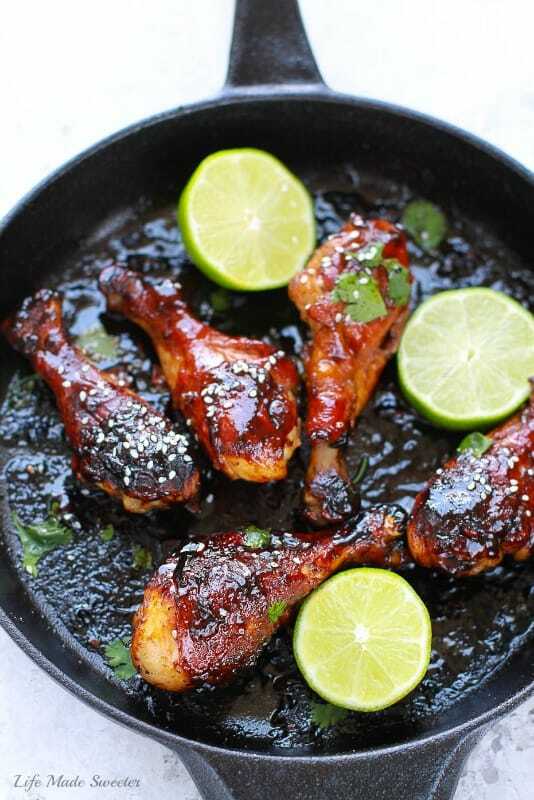 Easy sticky chicken drumsticks are loaded with zesty Asian flavors full of honey, soy, lime and a fiery hint of sriracha. Whisk together the soy sauce, lime juice, lime zest, balsamic vinegar, honey, sriracha, red chili flakes, garlic and ginger. Set aside. Heat your cast iron (or oven safe) skillet/pan over medium heat and add olive oil. Lightly brown chicken on all sides. Spoon half of the sauce over each chicken drumstick and using your tongs turn the chicken pieces so it absorbs the sauce all over. Allow to cook on skillet for another 2 minutes. Place entire skillet into preheated oven, turning chicken regularly with tongs and adding another spoonful of the reserved half of the sauce over each piece of chicken. Bake uncovered for 20 -25 minutes until chicken is cooked through and skin is caramelized. Sprinkle with sesame seeds and chopped green onions and cilantro if desired.